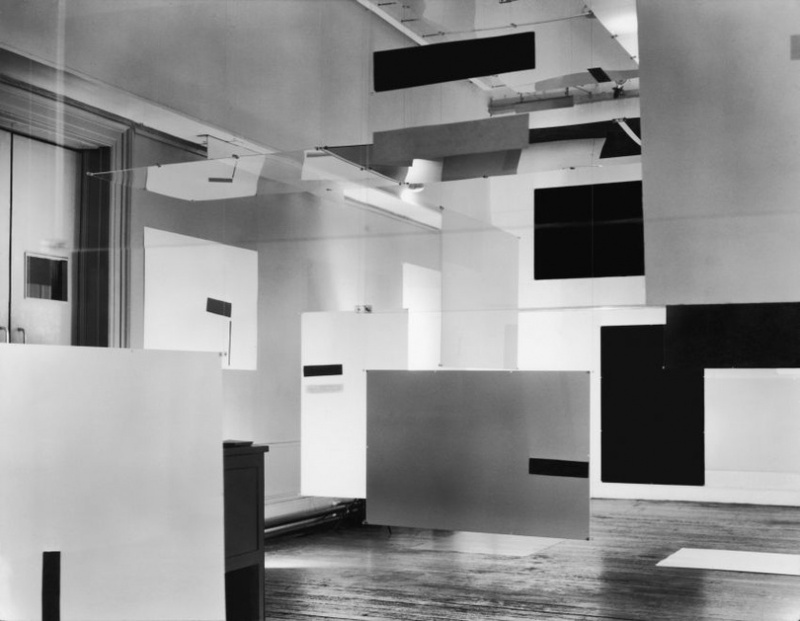 Two months after ‘an Exhibit’ closed at the Hatton Gallery, Newcastle, in June 1957 it travelled to London’s Institute of Contemporary Arts, then situated in Mayfair, where it was reconfigured in response to the space. Contrasting with the ICA’s ornamented Georgian interior, the vertical and horizontal, parallel and perpendicular, groupings of Perspex sheets (Richard Hamilton, the designer, secured sponsorship from ICI plastics), attached to nylon wire suspended from the ceiling, must have appeared startlingly modern. Once installed, Victor Pasmore collaged abstractions of tissue paper onto the semi-transparent and opaque white, black, grey and ‘Indian red’ (his signature colour) Perspex sheets. Layered intersections created a multiple, reflected and refracted space, intended to destabilise the perceptual constancy of those caught inside. Hamilton designed the floating architectonic display of ‘an Exhibit’ as a framing device. And see the art of Victor Pasmore. In the Institute of Contemporary arts. new materials – particularly glass and Perspex – introduced a dynamic and interdependent relationship of work, space and viewer, and notions of play and improvisation became central to [his] understanding of art-making as a process embracing change and not aiming to produce the “perfect” final object. to inhabit, for the duration of the game, a real environment. The meaning of an Exhibit is now dependent on the decisions of visitors, just as, at an earlier stage, it was dependent on the artists who were the players. After the ICA, a further two versions of ‘an Exhibit’ were realized – ‘Exhibit 2’, once more at the Hatton Gallery, in 1959, and, in 1961, at the Stedelijk Museum – before a lull of some thirty years when, in 1990, a version first reconstructed for the Instituto Valenciano de Arte Moderno toured the US in the exhibition ‘The Independent Group: Postwar Britain and the Aesthetics of Plenty’. ‘an Exhibit’ would appear again as part of the Royal Academy of Arts’ ‘Modern British Sculpture’ survey in 2011 before returning, in 2014, to the ICA where it was exquisitely reconstructed to coincide with ‘Richard Hamilton’ at Tate Modern, a retrospective exhibition of the so-called ‘father of Pop Art’. At the ICA ‘an Exhibit’ accompanied a reconstruction of Hamilton’s celebrated ‘Man, Machine and Motion’ (1955); ‘Growth and Form’ (1951), inspired by D’Arcy Wentworth Thompson’s book On Growth and Form (1917), a freestanding metal grid laced with photographic images and objects, was restaged for the first time at Tate. Installation views of these exhibitions, some previously unseen, illustrate a compelling visual history in Exhibition, Design, Participation. 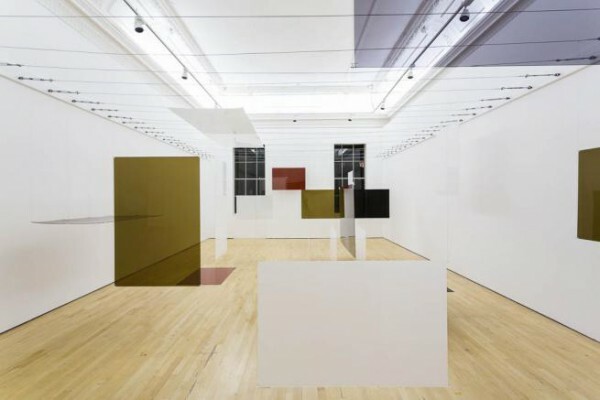 Although designed by Hamilton, ‘an Exhibit’ was produced in collaboration with the painter and sculptor Pasmore, a colleague of Hamilton’s at King’s College art school in Newcastle, and Alloway. The recent ICA version annexed ‘an Exhibit’ to Hamilton’s oeuvre, misleading because, although he oversaw each versioning, throughout the 1950s, these three, in various combinations and in association with the Independent Group (IG), produced an array of innovative exhibitions that complicated relations of authorship, traditional artistic media, the spectator and the object, ‘high’ and ‘low’ culture, and the fields of art, science, architecture and design. Despite its various manifestations, ‘an Exhibit’ has, until recently, received relatively less attention than those two shows that preceded it – ‘Growth and Form’ and ‘Man, Machine and Motion’ – and IG’s ‘This is Tomorrow’ (1956) at Whitechapel Gallery. Afterall’s publication follows, then, a litany of recent exhibition restagings, new transatlantic scholarship from across disciplines on the IG’s activities and post-war British modernism more generally, and anthologies. Cursorily, take Whitechapel Gallery’s archival display of ‘This is Tomorrow’ (2011), Nigel Wheatley’s Art and Pluralism: Lawrence Alloway’s Cultural Criticism (2012), Lisa Le Feuvre’s revisiting of Thompson’s On Growth and Form in the journal of The Henry Moore Institute, Hal Foster’s October Files anthology on Richard Hamilton (2010), not to mention the excellent 2014 Tate catalogue with contributions by, among others, Benjamin H.D. Buchloh, Fanny Singer, and Victoria Walsh. Walsh’s contribution to the latter summarily situates ‘an Exhibit’ among related shows designed by Hamilton, while, that same year, one of Foster’s students, Kevin Lotery, writing in the pages of October, sought to relate the exhibition to ‘emergent conditions of factory production and commodity distribution forming [in North America]’. Writing, too, in October more than a decade earlier Isabelle Moffat examined ‘the hybrid trains of thought – mixed from parts logical positivism psychology, and physics – that saturated both the IG’s intellectual milieu and British exhibition practice on the whole’. 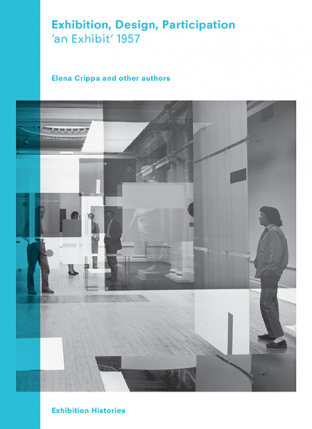 More recently, in 2014, Moffat has written on ‘an Exhibit’ as part of Elena Filipovic’s The Artist as Curator supplements in Mousse magazine. Even if we’re now familiar with the idea of exhibitions being restaged (‘When Attitudes Become Form’, famously, recently), far less frequently do they receive multiple outings, and certainly not with material alterations (the restaging of ‘When Attitudes Become Form’ was framed as a ‘readymade’). This already distinguishes ‘an Exhibit’ as a compelling specimen. How did it speak to the postmodernism of the 1990s? What remains of the 1957 version in the 2014 ICA version, which seemed so presciently to anticipate the shining opacity of the iPhone? The artist Martin Beck’s contribution to Exhibition, Design, Participation, ‘Revisiting the Form of “an Exhibit”’, uses what the art historian George Kubler calls ‘a form-class’ to link the exhibition’s versions. Writing in The Shape of Time (1962), Kubler distinguishes between prime objects and their replications, which derive from and further develop the prime object’s form and/or idea. Beck’s reading of Kubler notes that what constitutes ‘form-class’ is ‘the relationship between such prime objects and the “entire system of replicas, reproductions, copies, reductions, transfers, and derivations”’; a form-class, he continues, with Kubler, resembles ‘“a broken but much-repaired chain made of string and wire to connect the occasional jewelled links surviving as physical evidences of the invisible original sequence of prime objects”’. ‘The emphasis here,’ Beck writes, poignantly, ‘is not on the objects themselves, but on connectivity, on the string and wire that hold together the objects.’ Similarly, Beck is on point when with his recognition of ‘an Exhibit’ not just as an exhibition, but also a ‘frame of an exhibition’. Its apparent formalist transparency is the reason one reviewer of the 1957 Hatton Gallery show, cited in Owen Hatherley’s contribution, ‘Our Friends in the North’, attributed it ‘no profound moral purpose and relates to nothing but itself’. Hatherley’s excellent text sets about to disprove this, relating ‘an Exhibit’ to Pasmore’s later design work for Peterlee, a new town built in the Tyne & Wear region, and Hamilton’s political paintings of interiors from the 1980s, such as Treatment Room (1983–84) and Lobby (1988). Where, in the context of post-war British art, Herbert Read diagnosed a ‘geometry of fear’ and identified great artists as those disposed to a national spirit of romanticism, Hamilton and Pasmore ‘were determinedly anti-romantic, and deeply immersed in the questions raised by post-War social democratic capitalism’. Pasmore’s Apollo Pavilion of 1969, a concrete relief in exploded form at the centre of the Peterlee new town, was explicitly linked to ‘an Exhibit’; this was the model, Hatherley contends, of a multi-dimensional plan for Peterlee more generally. Despite ‘an Exhibit’s’ seeming avoidance of any social rhetoric, or indeed any rhetoric whatsoever, Hatherley concludes that it: ‘can’t be extricated from this particular mid-century moment, or from the way it actually began, briefly, to shape the lives of ordinary people in the north-east of England. Deliberately devoid of rhetoric as they may have been, those Perspex panels and nylon frames tell all kinds of unintended stories today. ‘an Exhibit’ is exemplary in the way it enables, as the title suggests, an examination of relations between exhibition, design and participation. Here, however, design, characterised by instrumentality, is not only a project of exhibition making but also of audience making in the post-war context of British social capitalism. Curating doesn’t appear to have been part of the vocabulary of the organisers of ‘an Exhibit’. Today, to ‘design’ audiences is perhaps too instrumental. In the meantime, sociologists ‘curate’ research, as market researchers ‘curate’ data. Presciently, ‘an Exhibit’ produced a frame of multiple, complex optics, seemingly anti-foundational. As the art historian Anne Friedburg wrote over a decade ago, ‘How the world is framed has become as important as what is in the frame.’ ‘an Exhibit’ is compelling, then, in age of curated subjectivities and multiple, discontinuous frames and screens.